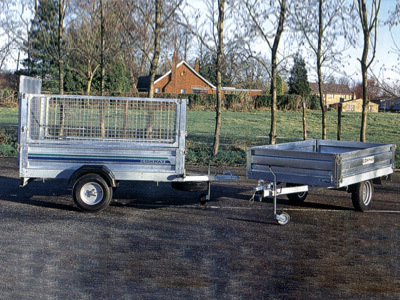 The most popular model within the Glidalong range the 506 trailer really is a jack of all trades. The General Purpose trailer (G.P. models) has it wheels positioned under the trailer body to give maximum internal carrying width, yet is no wider than the towing vehicle on the road. 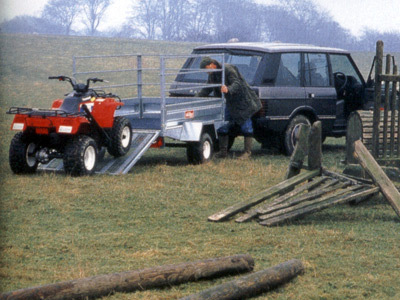 The hinged sides make it so versatile for loading from either side or the back especially in confined spaces. sides and corner posts are easily removed to make a true flat bed for that larger load. Alternatively the All Terrain trailer (A.T. models) has its wheels outside the body for greater stability even on the roughest terrain. 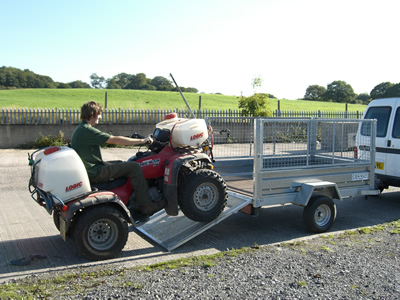 The lower loading height makes the trailers ideal for carrying small plant and ground care machinery, whilst dual purpose wheels allows the trailer to be used both on and off road with confidence. Welded hot dipped chassis and 'A' frame for durability. Long 'A' frame drawbar for easy manoeuvrability and greater rigidity. Strong but lightweight construction, built to last yet easy to repair. Internal size of trailer sufficient to carry 6ft x 4ft sheet materials flat in trailer. Wide range of accessories for commercial and horticultural applications. Hinged removable drop down sides for easy loading. Wheels under trailer, body no wider than towing vehicle. 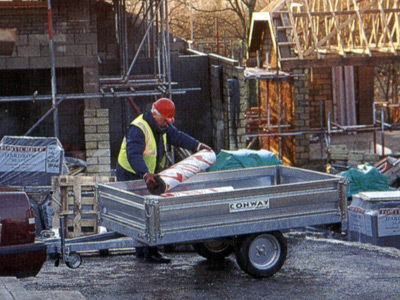 Low loading height for carrying small items of plant, garden maintenance equipment etc. Can carry most popular ATV quad bikes.